Barbara Jean (Rader) Anderson, age 70, passed away December 3, 2018. Born February 19, 1948 in Columbus, Ohio, daughter of the late Donald Freemont and Elinor Clair (Corbett) Rader. Attended St. Catharine School; Graduate of St. Mary of the Springs Academy (1966). Attended The Ohio State University. Barbara married her husband, John Elza Anderson, who was a Sergeant in the U.S. Marine Corps on August 17, 1968. She contributed to countless charitable organizations. She was an avid Ohio State University Buckeye fan. Barb loved to dig her toes in the beautiful, white sand beaches of Siesta Key, Florida. She also loved to cook and collect recipes. Family favorites included her macaroni and cheese, chocolate pies, chocolate fudge, and many Christmas cookies. She frequented Rubino’s on Friday nights, which she followed up with an ice cream cone at Johnson’s or Graeter’s. Her other hobbies included crocheting baby blankets for her grandsons, swimming, traveling, and gardening, especially her daisies. She was a lifelong member of St. Catharine of Siena Roman Catholic Church and life member of The Elizabethan Guild. In addition to her parents, she is preceded in death by her brother, James Barry Rader, her husband, John Elza Anderson, her father-in-law, Dr. Francis Winters Anderson, her mother-in-law, Martha Elizabeth (Goeller) Anderson, her cousin, Patricia (Corbett) Trubey and her husband, William Leslie (Les), her uncle, Sylvester Joseph (Helen) Corbett, and her aunt, Trudis Irene (Bruce) Dominick. Affectionately known as "Nana" by her family, Barb is survived by daughter, Mary Corbett Anderson (Brett Thomas) Blough, and son, Philip John (Anna Elizabeth) Anderson; grandsons, Brody John Anderson, Anderson Thomas Blough, and Owen William Anderson; cousins, Ann Davidson of Fort Dodge, Iowa and Jean (Craig) Conover of Mapleton, Iowa; sister-in-law, Elizabeth (Rick) Frey; brother-in-law, William (Janie) Anderson; step-mother-in-law, Barbara Ann Anderson; and many wonderful nieces and nephews, and great-nieces and nephews; many cousins and friends, including longtime friends, Ginny Hayes, Rocky and Linda Narney, Douglas and Rose Mary Kohler, and Debbie Kennedy. A loving, generous and caring individual, Barb will be best remembered for her fight, kindness, guidance, and strength. She will be dearly missed by her many friends and family. 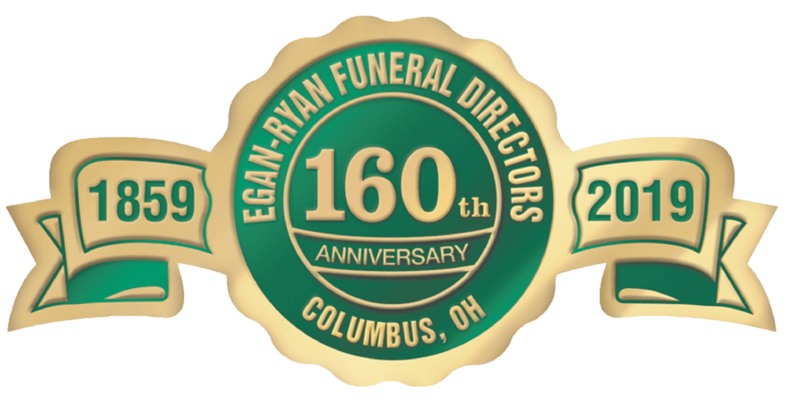 Friends may call Thursday 4-7 p.m. at Egan-Ryan Funeral Home, 403 E. Broad St. Mass of Christian Burial Friday 10 a.m. at St. Catharine of Siena Roman Catholic Church, 500 South Gould Road, Columbus, Ohio. Burial St. Joseph Cemetery. Fr. Daniel Dury, Celebrant. The family wishes to thank Mt. Carmel East Hospital and multiple care teams for their loving care. In lieu of flowers, those who wish may make contributions to a charity of their choice, in Barbara’s memory.